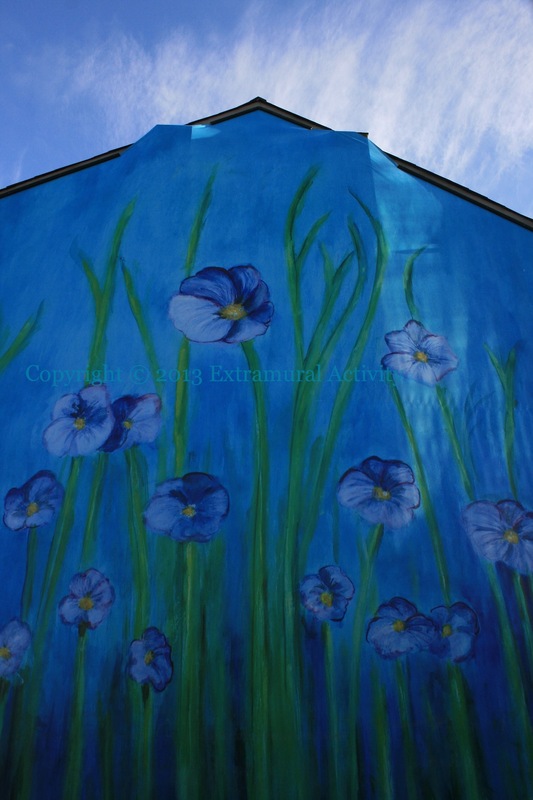 A mural by artist Deirdre Robb (of Creative Exchange Artists) in Tower Street/Newtownards Road of flax plants, somewhat reminiscent of van Gogh’s Irises. (Leave a comment if you detect another inspiration.) The painting is on a tarp or canvas that is not firmly affixed to the wall, which allows the painting to move in the wind. The wall and the “pocket park” are on the site of the former RHC mural.